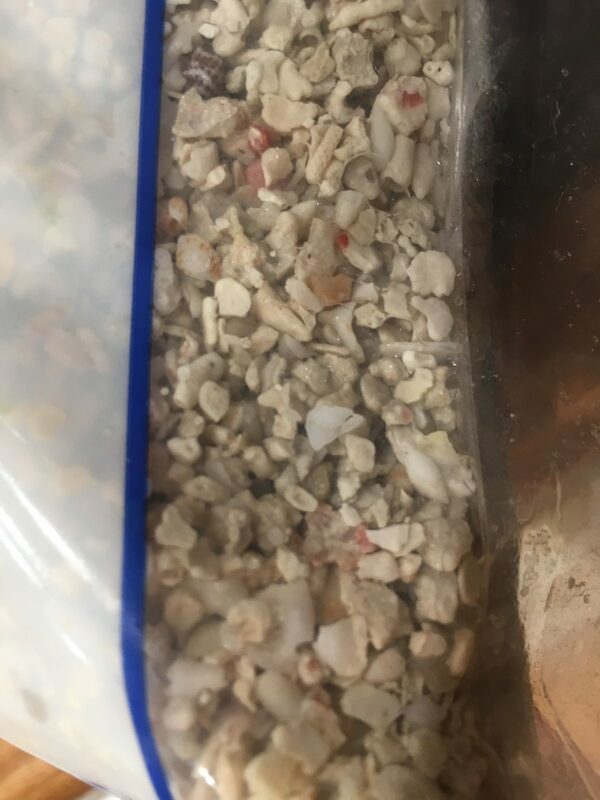 Welcome to Granite’s 2.5g Dropoff thread. 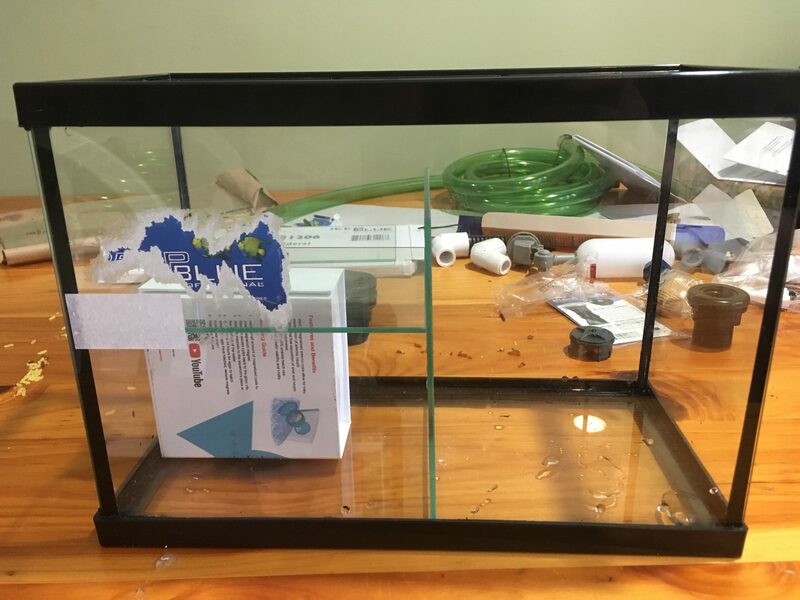 Let me start off by pointing out that I got carried away during the building process and used dividing walls to create a drop off tank. All my other equipment will remain within contest parameters and I plan to proceed as though I am participating with hopes of winning a nanoreef shirt and some stickers in the rule breaker category! 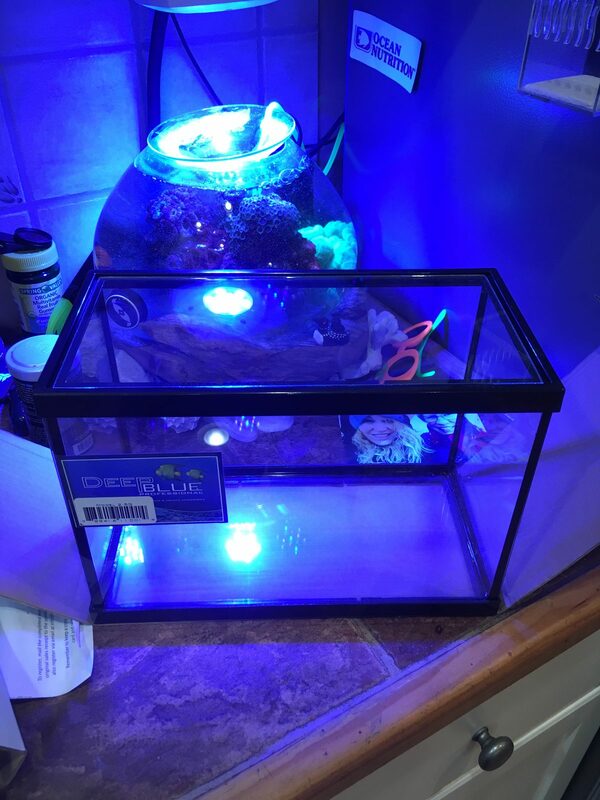 Lights: Current USA 12” Truelumen Pro LED Strip Lights. 1xMarine Fusion(12k white/453nm blue) and 2xDeepwater Blue(453nm only) 9w each. Both are connected to a Current USA Ramp Timer Pro. 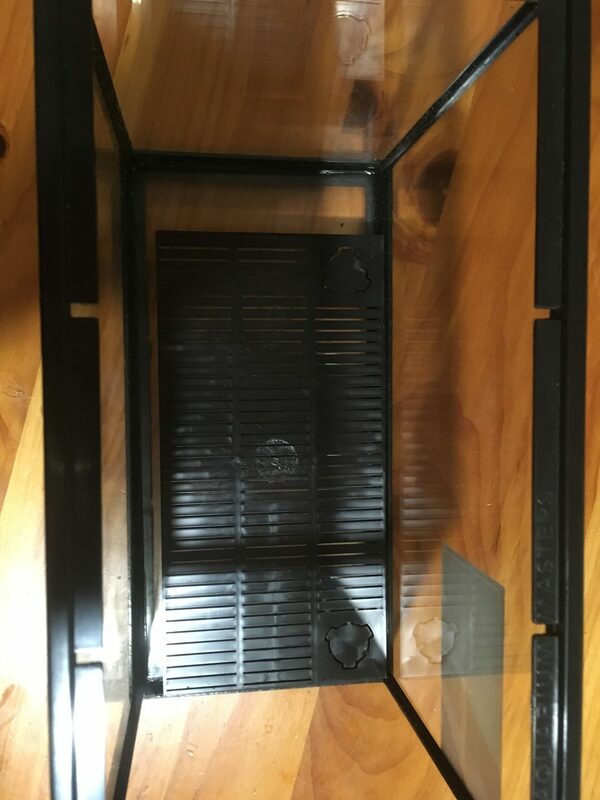 Dividers: These came as a set with the Deep Blue lid to make the tank a 3-way betta tank. I simply set one at 4” horizontally and the other slightly pitched vertically to make the Dropoff platform. 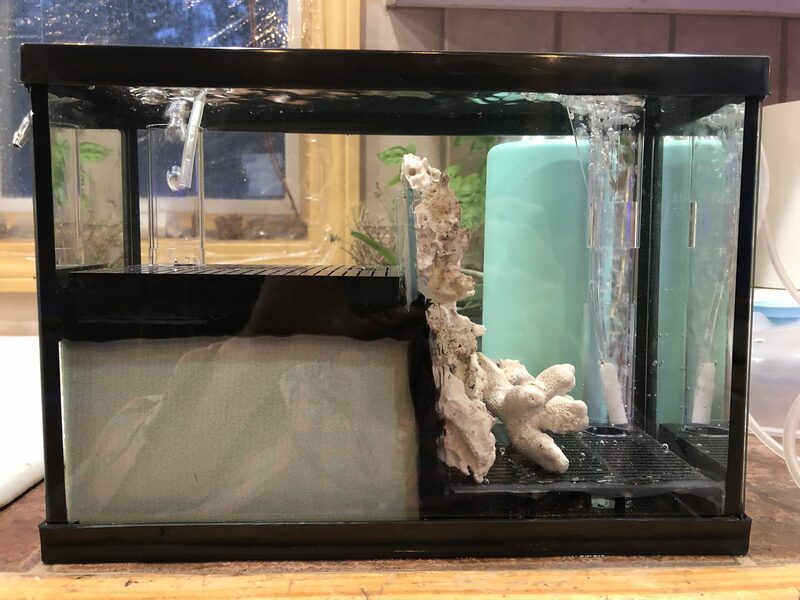 Filtration: 2x cut to size Lee’s 2.5 original undergravel filter. 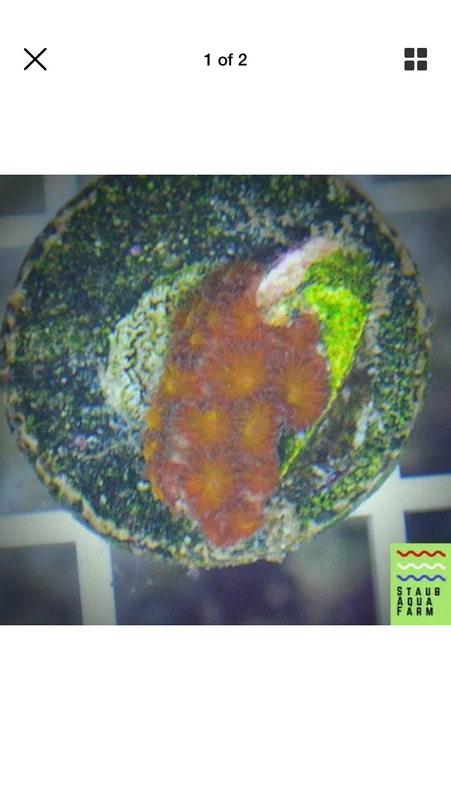 In the March/April 2019 coral magazine on pages 106-111 you will find a really great article written about the author’s experience in scientifically working with Leptastrea Purpurea. 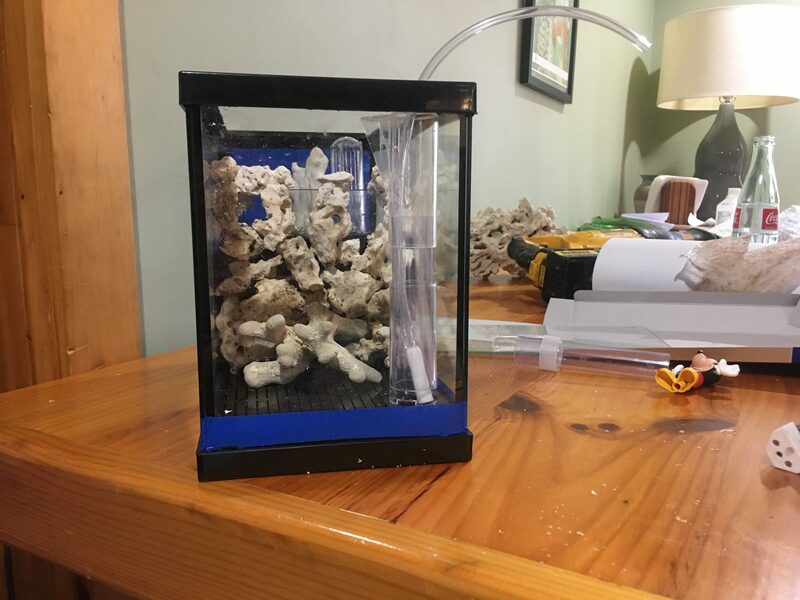 This coral and the article really captivated me, so I am making the drop off a Leptastrea specimen tank! Both because of its hardiness and its cool brooding reproduction technique. 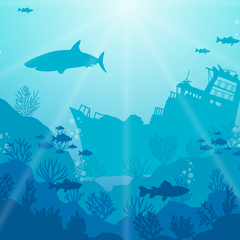 This link is to the same research that was showcased in coral magazine but in a more scientific manner. This is some poorly written news article about leptastrea’s ability to survive a molasses spill. Super random but interesting. 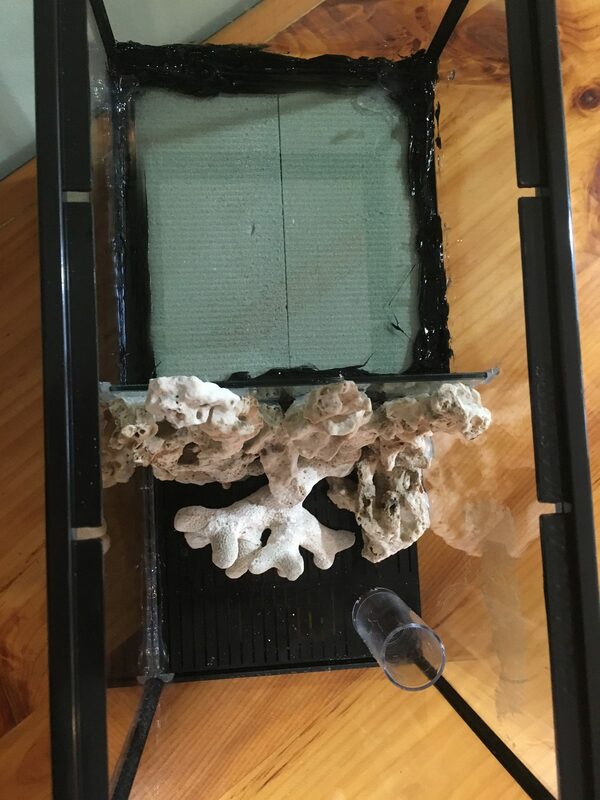 First since the build of my tank has been happening for almost a month I will make posts that will be flashbacks of key highlights of the build. 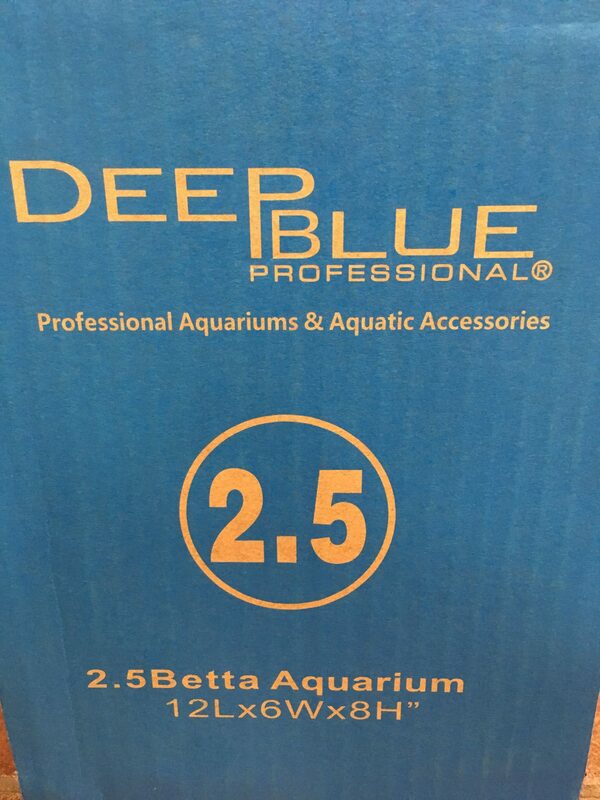 February 27th CM made the Pico reef contest ideas thread, by March 3rd I had tracked down a deep blue 2.5. 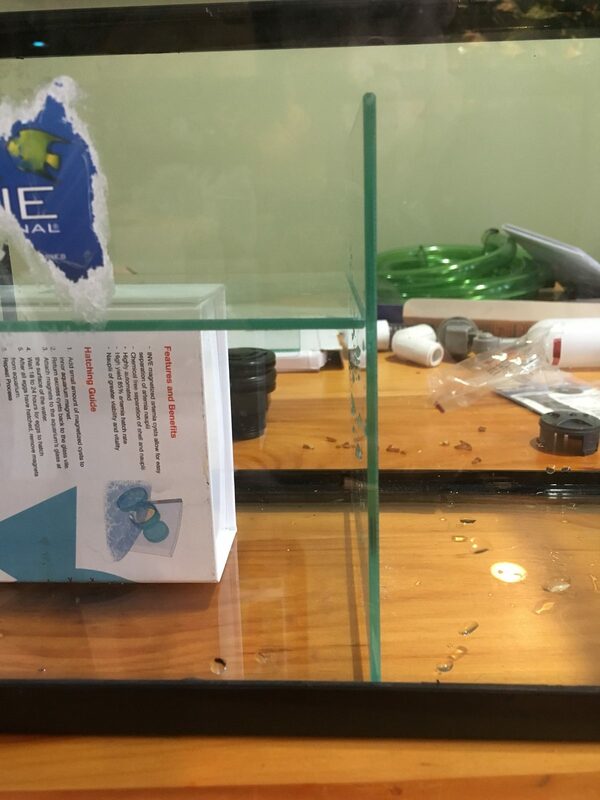 The same day I ordered a lees undergravel filter as I was told by my LFS they no longer carry that product because no one wants to collect the crap at the bottom of their tank. 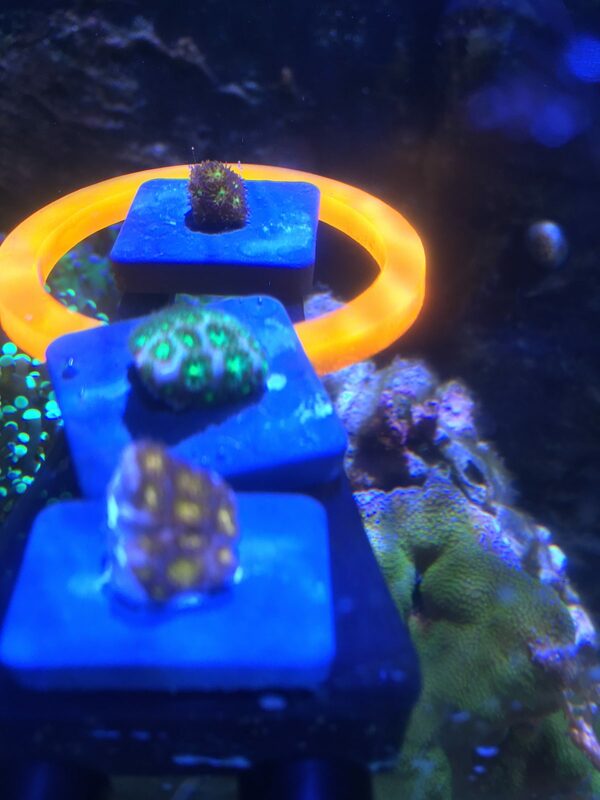 Even though the guy was rude I ended up buying a coral from him too. 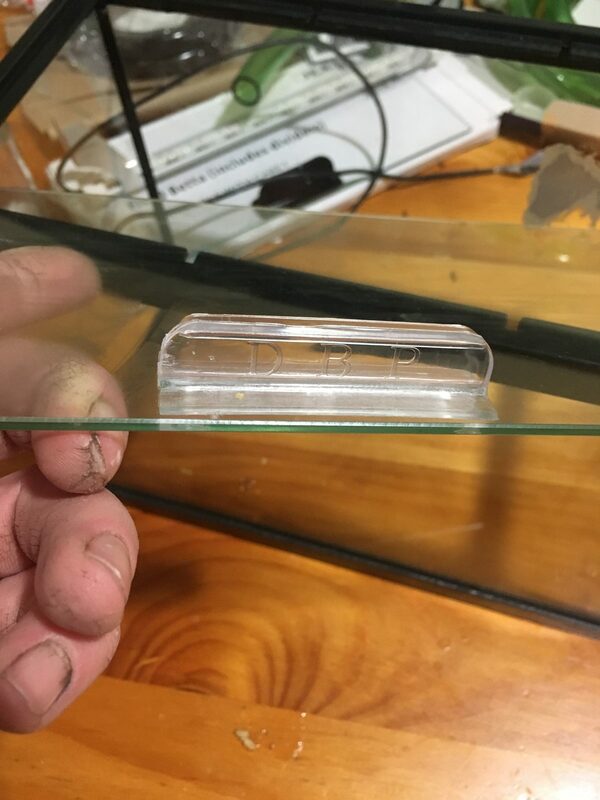 The first specimen of my specimen tank! 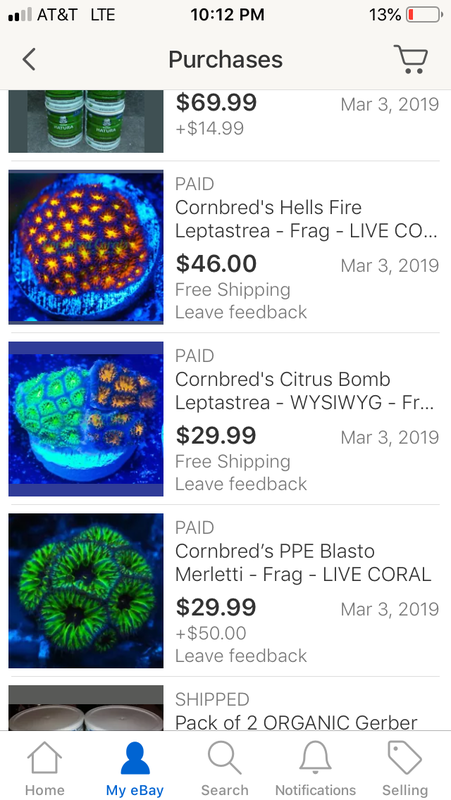 eBay has proven to be an invaluable source for Leptastrea corals as locally the options are pretty limited. 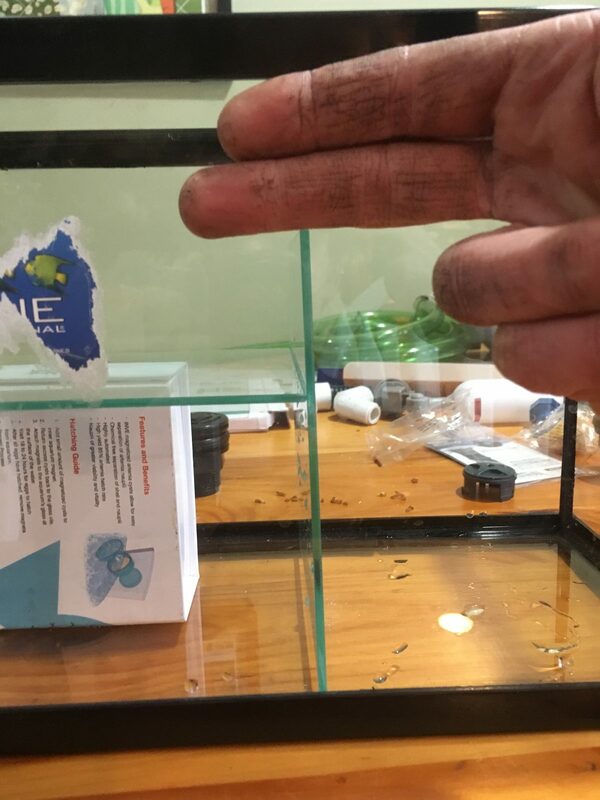 On March 2nd I placed an order for two cheap frags which were shipped for 15$ not next day air. 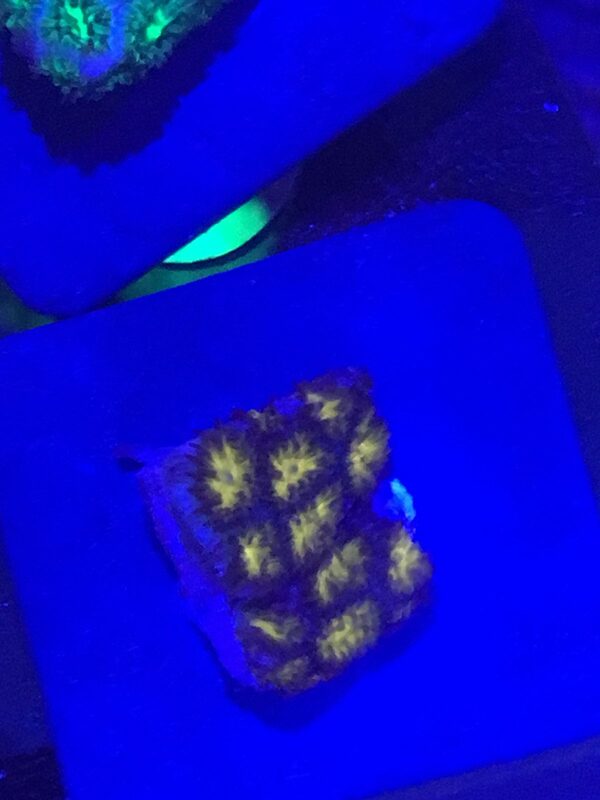 Surprisingly the 5$ frag made it, the 15$ one did not. 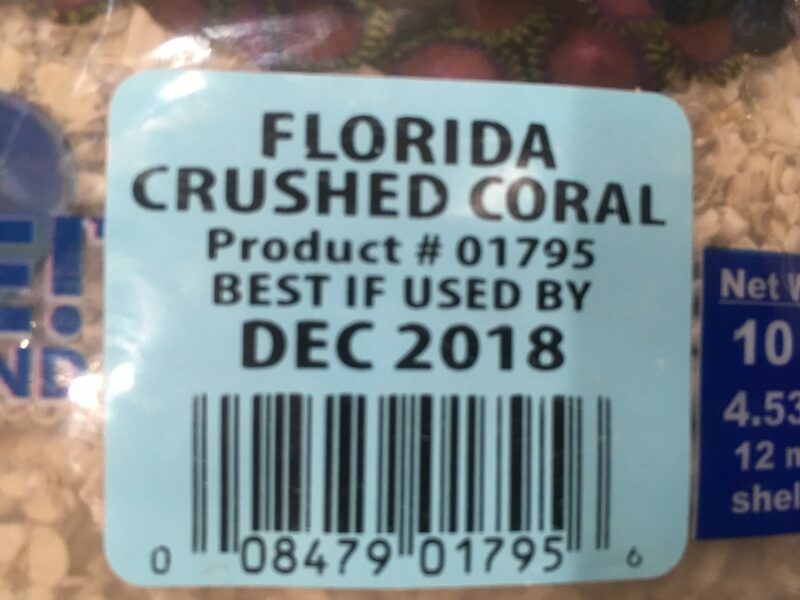 You can see in this picture the coral was questionable before it was even shipped haha! My son keeps asking to play with the skeleton of the dead coral, which is actually really neat to have as most scientific descriptions of the species are describing the skeletal remains and not the fleshy living coral. 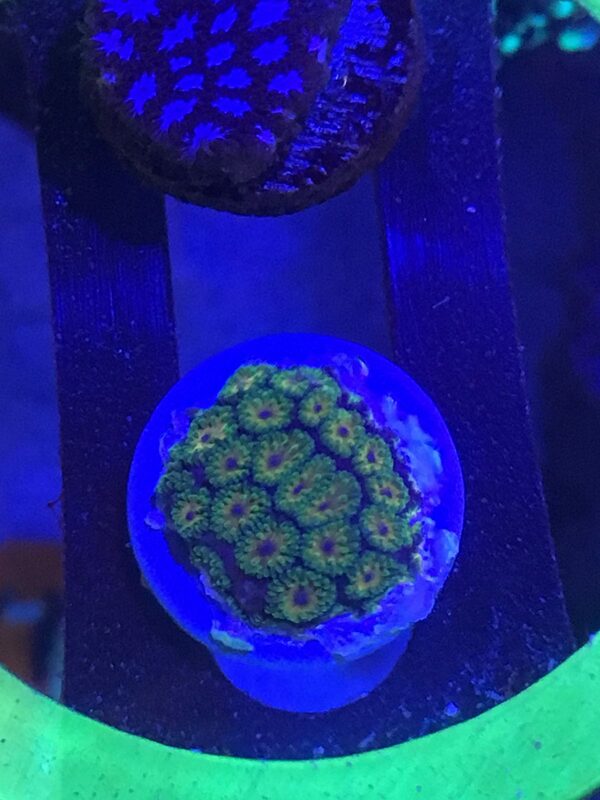 By March 7th I had received more corals! 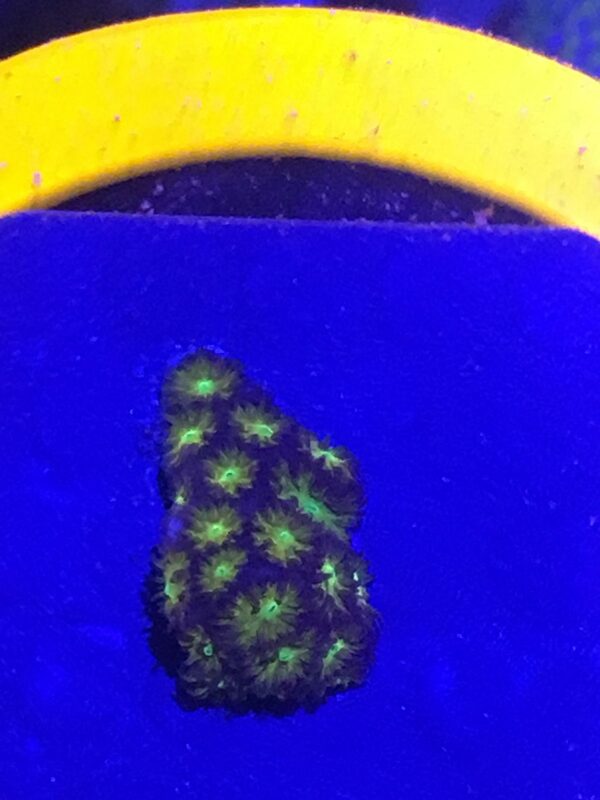 This time much higher end corals from a reputable eBay dealer, brand name Cornbred. 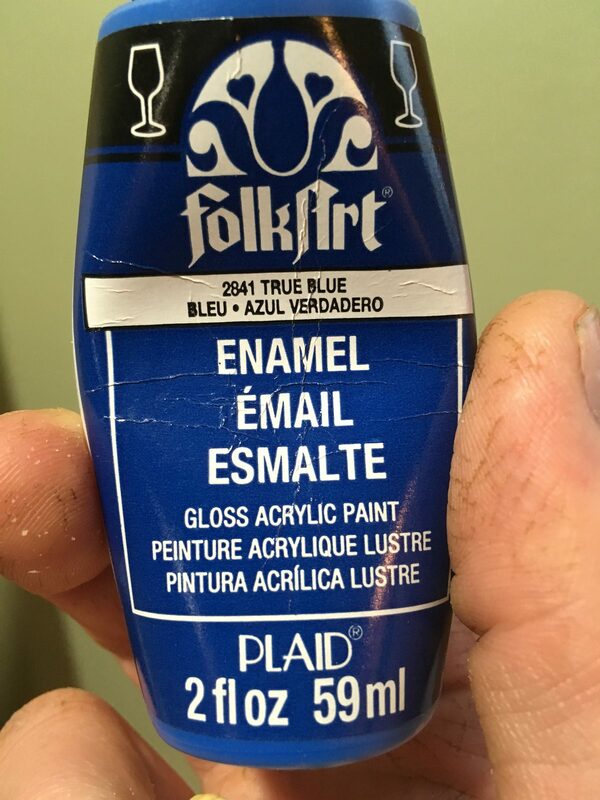 Simultaneous to my eBay searching I put out a WTB on my local forum. Surprisingly a few people actually knew what Leptastrea was and had some too! 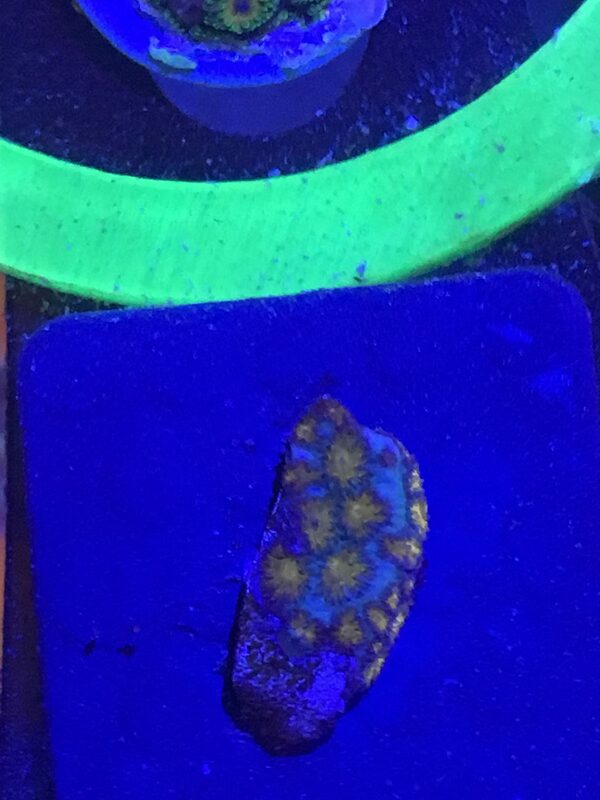 JSAK1976 offered up a frag of this beauty once he learned of my Leptastrea brooding goals. 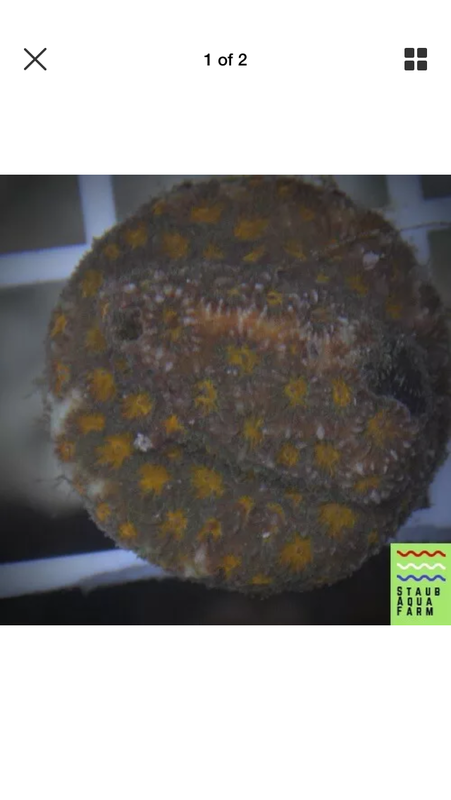 it was originally acquired through BIG R corals and marketed as a John Deere leptastrea(most over used name for this coral). I think it isn’t based on the Red centers to each polyps mouth. 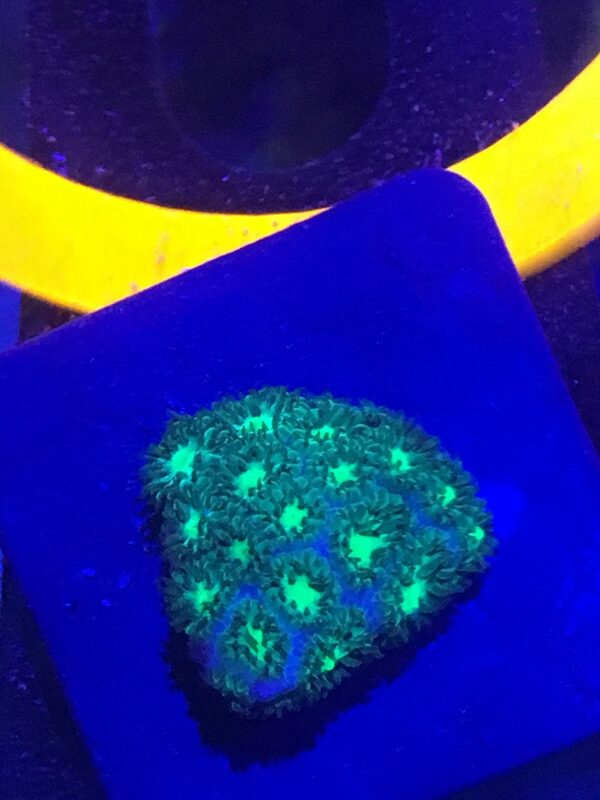 I got one really nice frag though as he took the crown of the coral and left only the outer ring of the frag plug for himself. Diamond band saws are great. 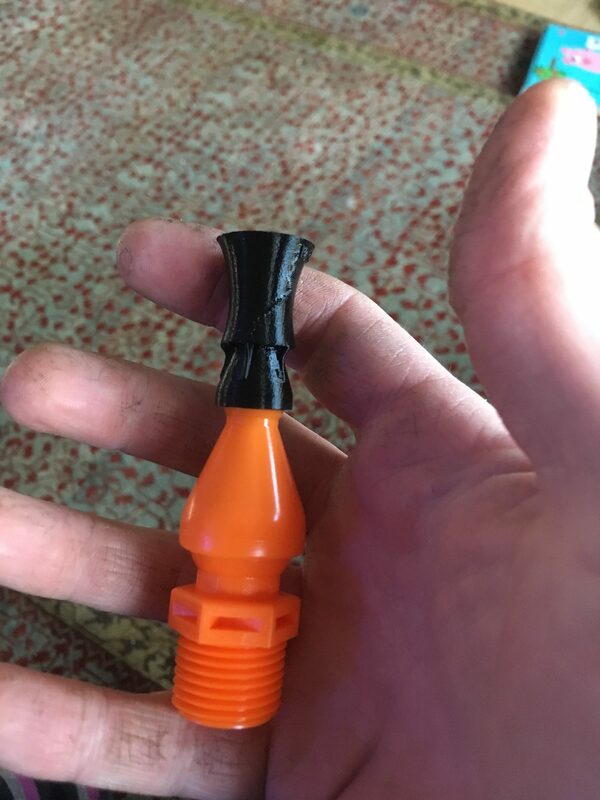 I was planning to use a Sicce .5 with a 1/4” RFG nozzle, as I have read sedimentation is a problem with newly settled Leptastrea corals(in the event my brooding experiment is successful) so I thought extra flow may help. 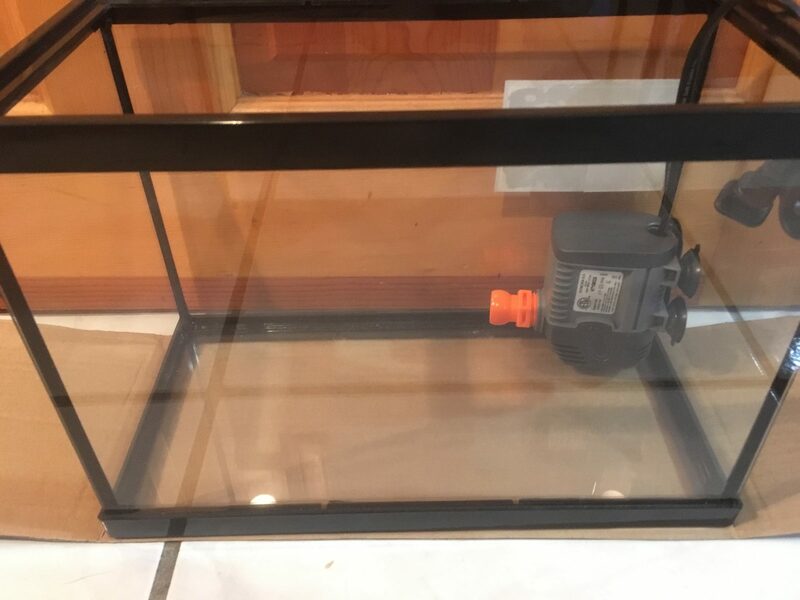 I had also bought the Lees undergravel filter from amazon and was considering having the pump pull from beneath that, while simultaneously running the air stone in the lift pipe. as you can see it doesn’t fit very well side to side. Never having done anything like this and unable to find an example build I came up with my own plan. 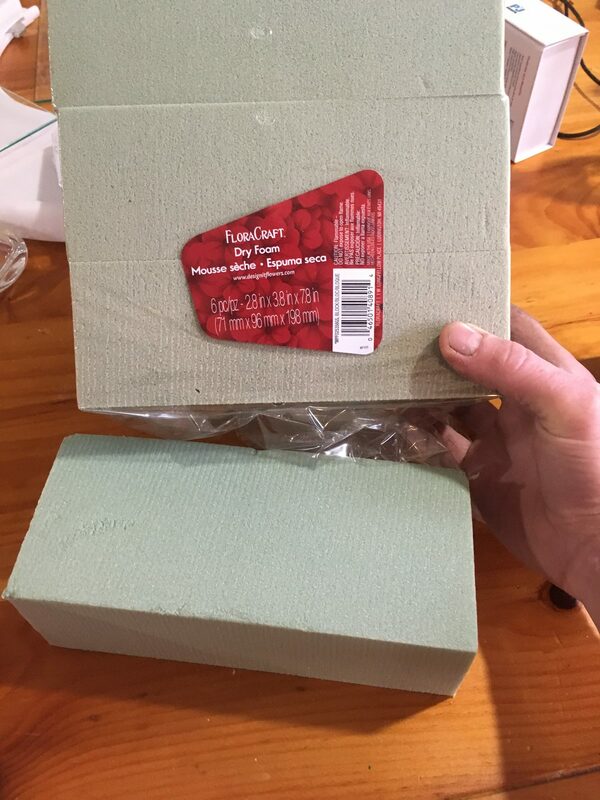 I took floral foam that had almost the right dimensions(1 cut away). 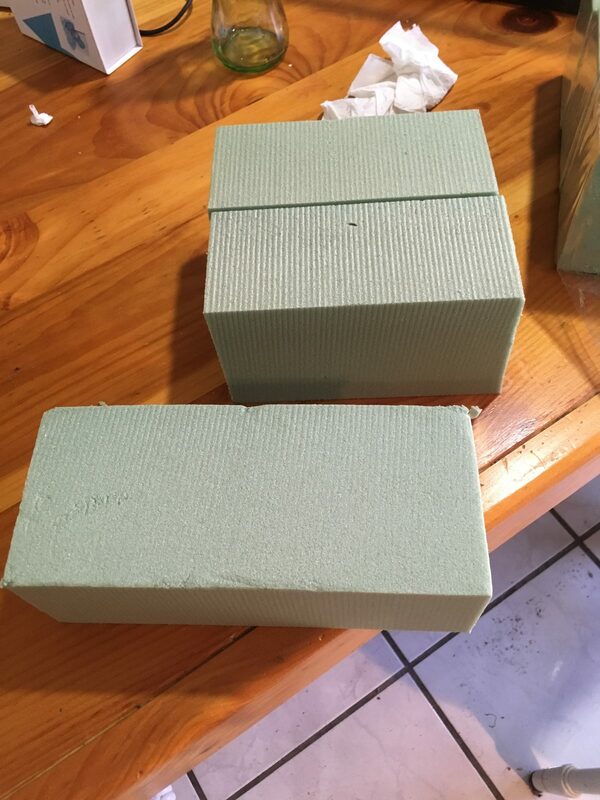 Two blocks were cut to size with a slight angle on the cut so the wall would slope. the fit was perfect! It sure was pretty before I added silicone! 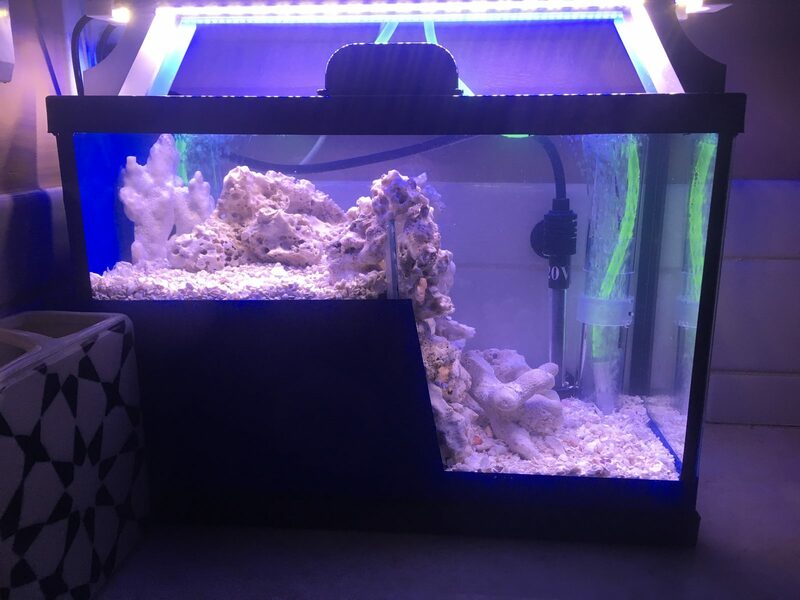 and I got carried away and didn’t tak photos until the rocks and bottom undergravel filter had been installed. 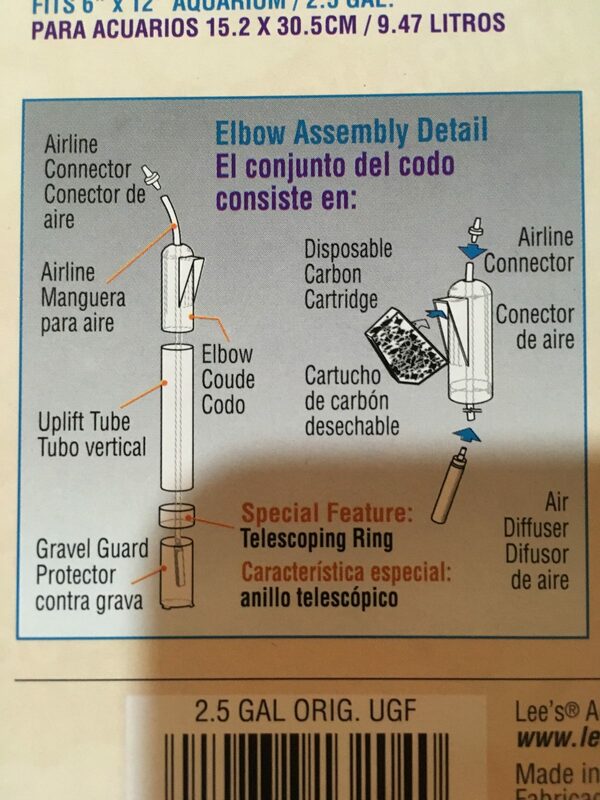 Don’t mind my childish application of the silicone! Those are some gorgeous specimens - interested to see how this plays out. 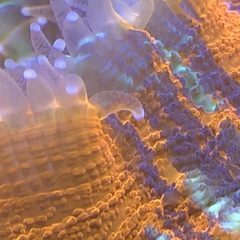 Also learned something new today regarding Leptastrea reproduction. Definitely going to follow this one. It's nice to see work continue on this tank. 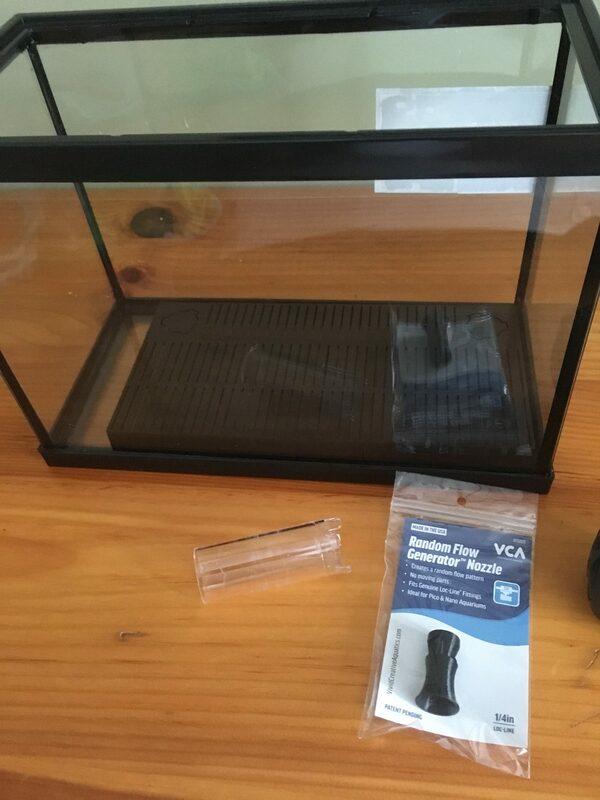 This looks like it's going to be an awesome tank! This last Thursday once the silicone had dried I wet tested with fresh water(no salt). I roughed in the upper levels undergravel filter. 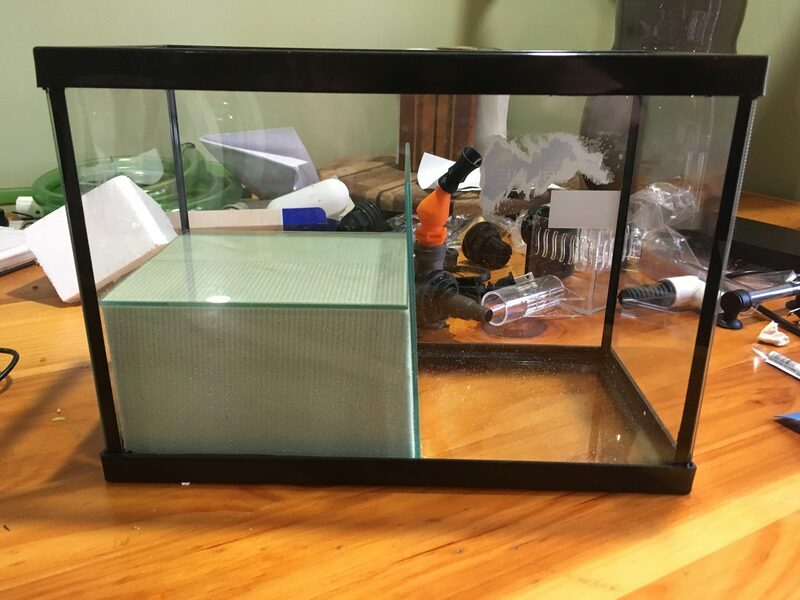 I had to buy two undergravel filters to get a perfect fit on each level, but since the 2.5 model only comes with one lift pipe I had to buy that anyways, plus I got more surface area than one provided. 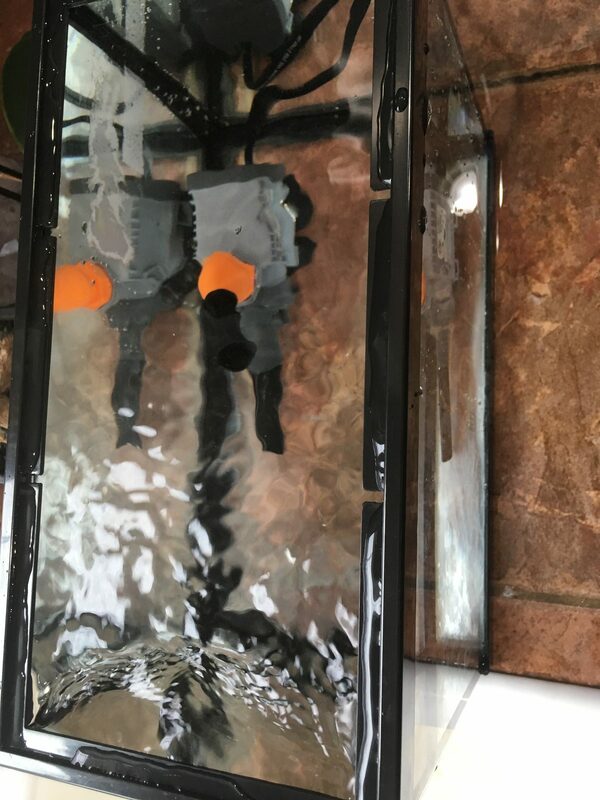 In the photo you can see the upper lift pipe was only straight at the time, before siliconing in the upper undergravel filter I cut the gravel guard and fish guard to size so they fit now. This was important as it aids in flow redirection, and will stop a fish from going down the lift pipe and getting stuck under the gravel! I may be putting a fish in here . The good news is it holds water! 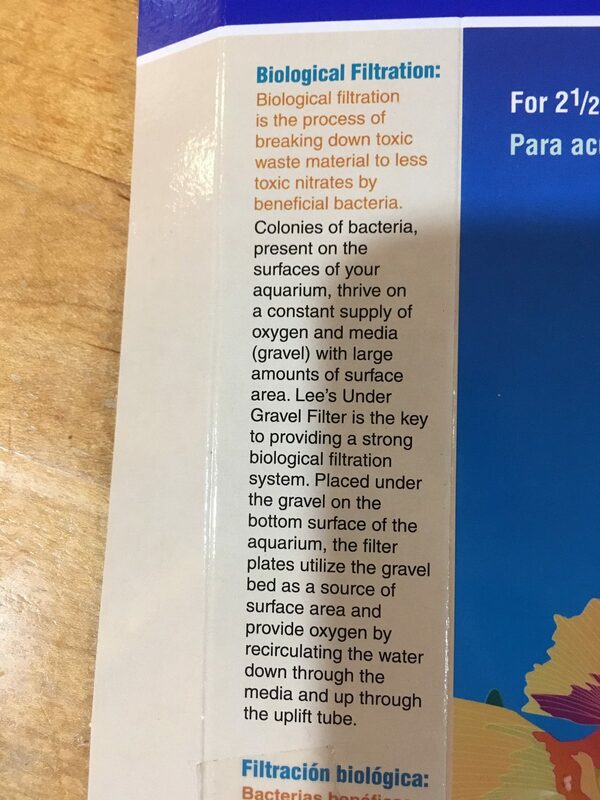 Undergravel filter = really old school. 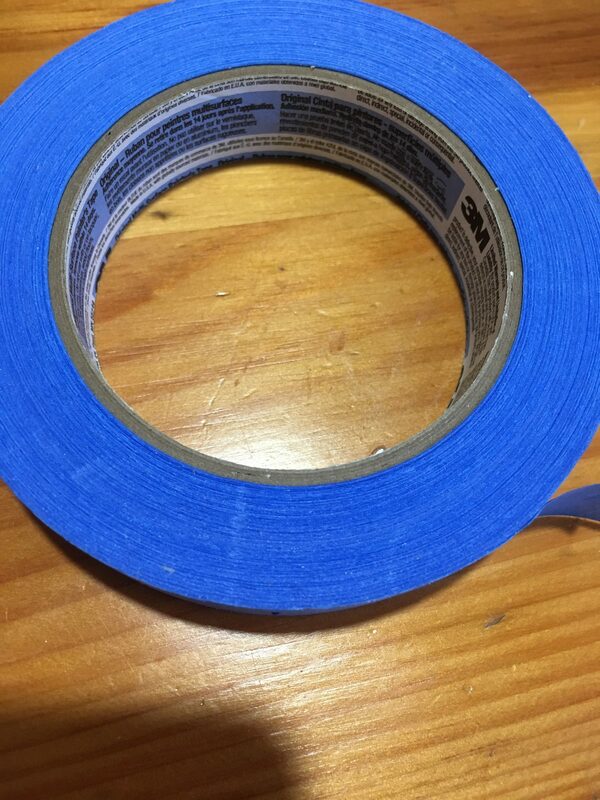 if the crack ever worsens where I stressed it while cutting the pipe they sell replacements for 6$ so I can have another shot at doing it perfectly. Otherwise happy with the results and I doubt I will ever have an issue. Really cool project @GraniteReefer! 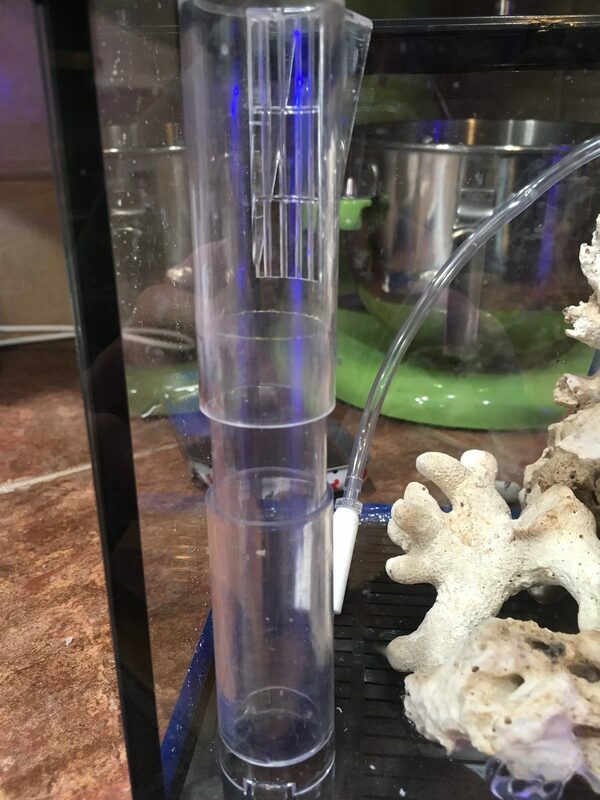 Have you ever run an under gravel filter on a saltwater system before? Truly kickin’ it old school! Thanks! 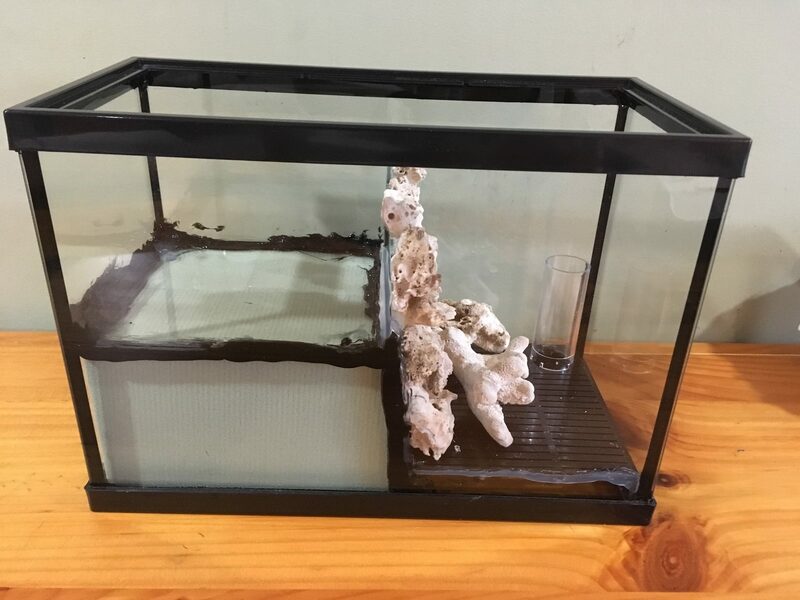 The closest thing to an undergravel filter that I’ve run would be the rock encased lift pipe in the reefbowl. 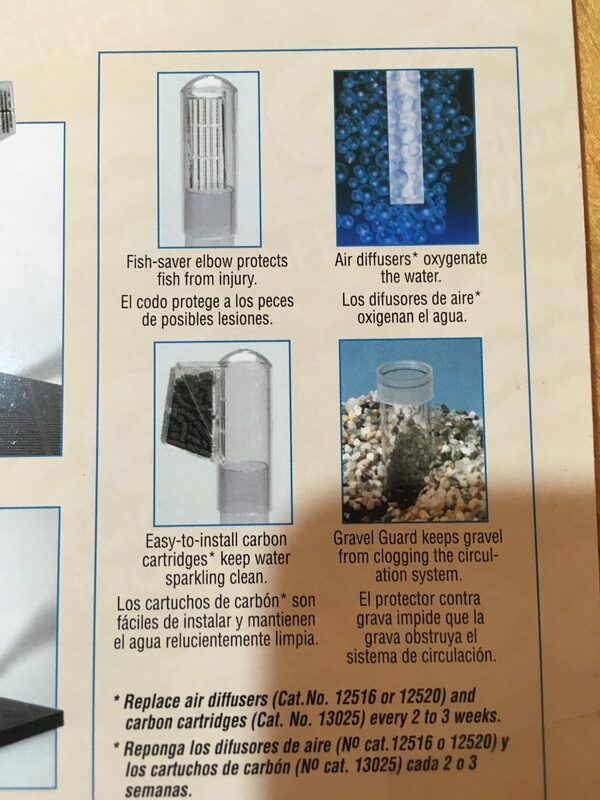 In my efforts to find these undergravel filters I actually found a Lee’s fishbowl undergravel filter which I really wish I had known about for the reefbowl as it would be superior to my lift pipe alone. Rip the plastic plant off and it’s perfect, even has a floss option you could run for 1 hour after WC to buffer out the last detritus. 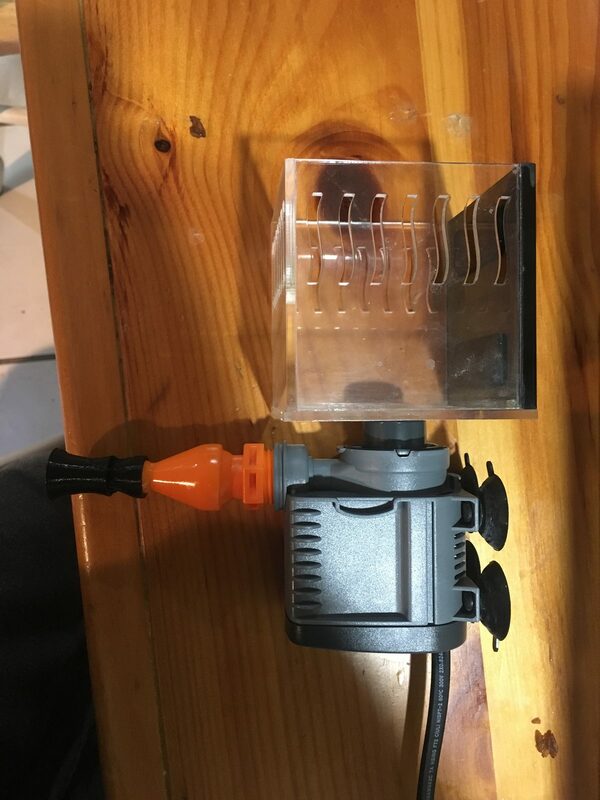 I knew pretty quickly an airpump driven pico would be my approach with this new build. 1. 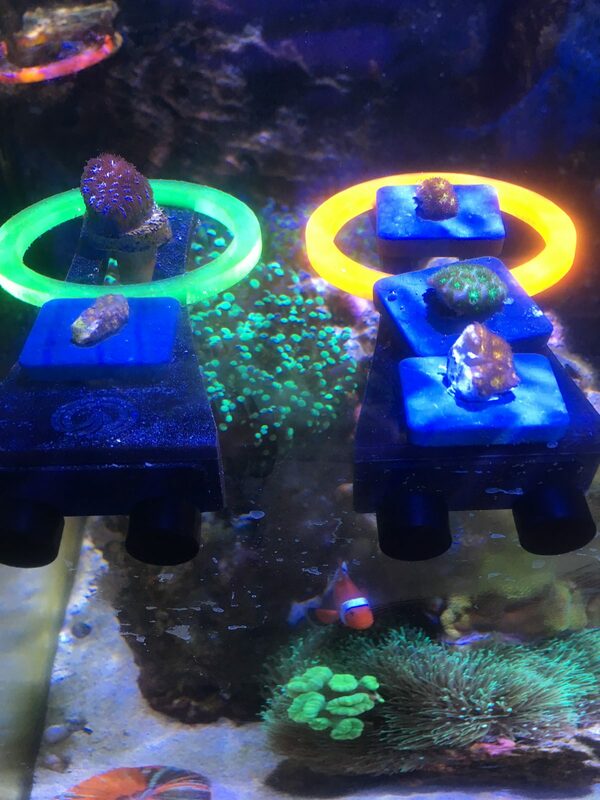 My reefbowl is arguably my most successful reef tank to date so mimicking its husbandry is logical. 2. In a tank this small an MP10 with battery backup isn’t really an option. 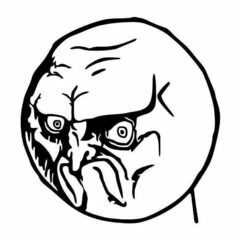 So the cobalt air pump I am using with built in rechargeable battery backup is the cheapest most reliable option for life support. 3. 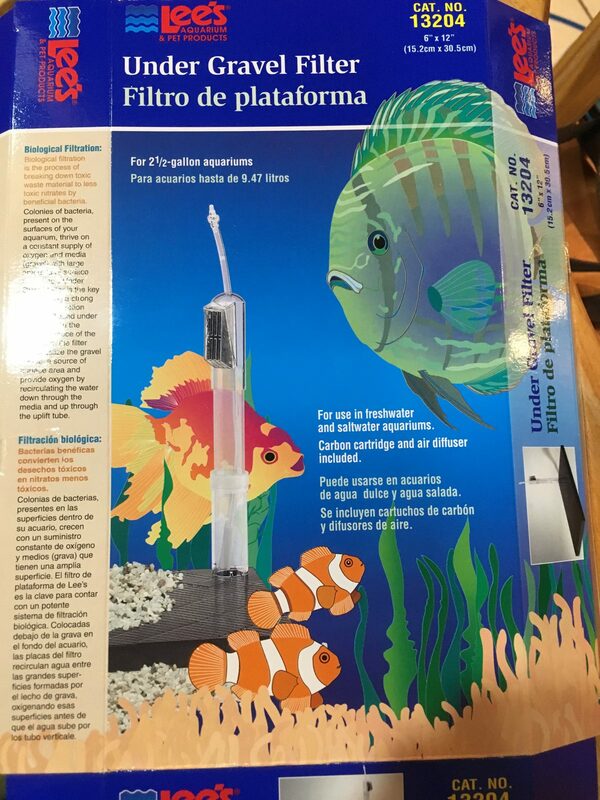 I was considering the use of a pump as a potential hazard for any released planula from the Leptastrea as apparently they can stay in suspension for up to two weeks before settling in good conditions. Others on systems with pumps have witnessed settlement though so this is likely a false fear of mine! 5. In the coral magazine article the scientists used a giant flow through tank during the day but placed the colonies in 8gal Tupperwares with only air bubblers for the night, food would be broadcast into the water column and in the morning they would put the colonies back into the flow through and filter the water from the Tupperwares which contained the planula that was released that night. So the Dropoff will be mimicking the nightly Tupperware tank of the experiment. 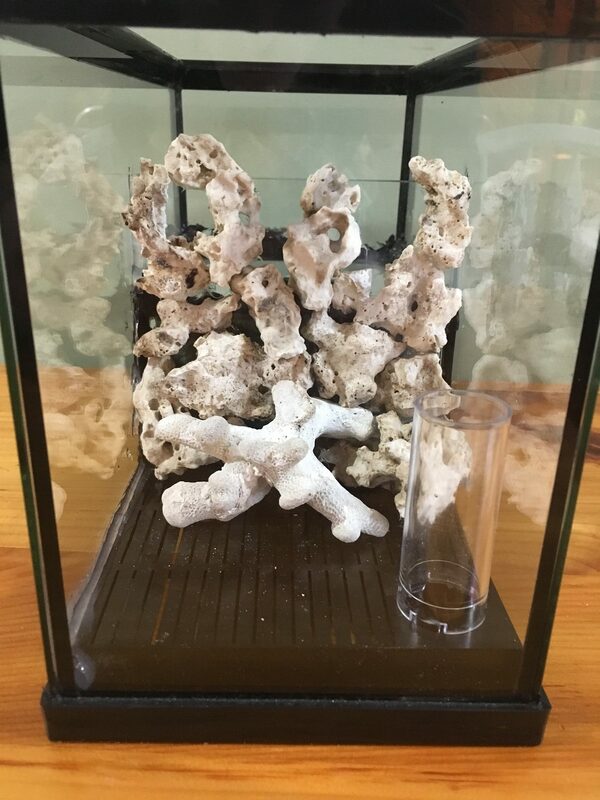 The one potential draw back to a system like this in a specimen tank of hopefully brooding Leptastrea is that the newly settled corals are susceptible to sedimentation so the extra flow of a pump may aid them at this stage. 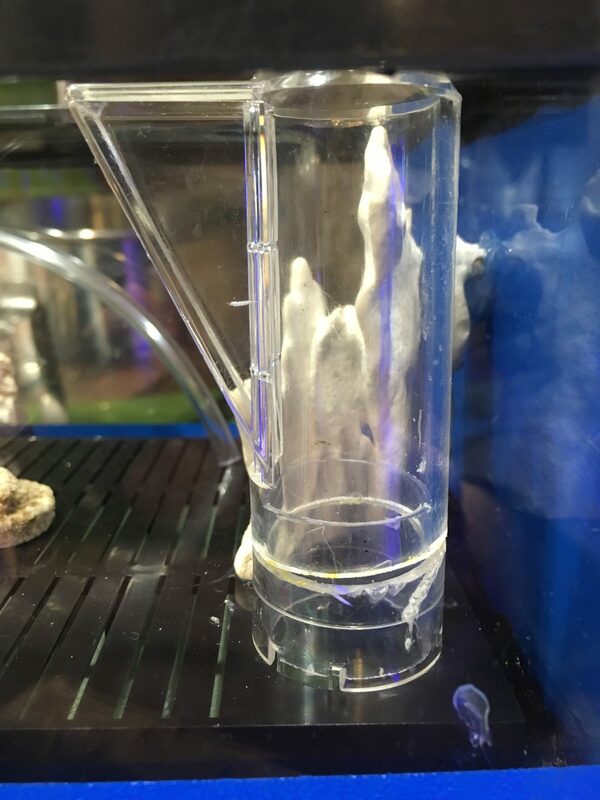 Perhaps if I can get a sieve to filter the planula out of the water at each WC then have a differently designed tank for that stage. 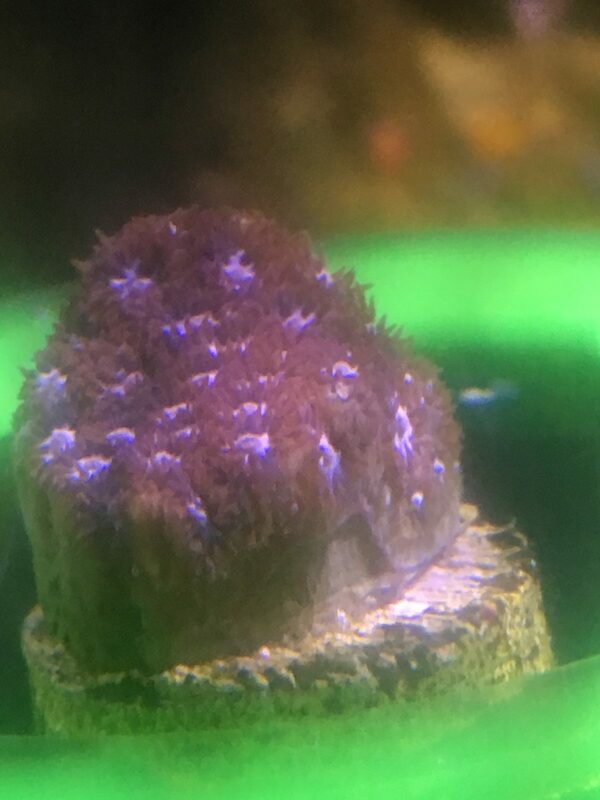 Before all of that I have to get these frags to grow into Atleast mini colonies of 1.5”-3”. 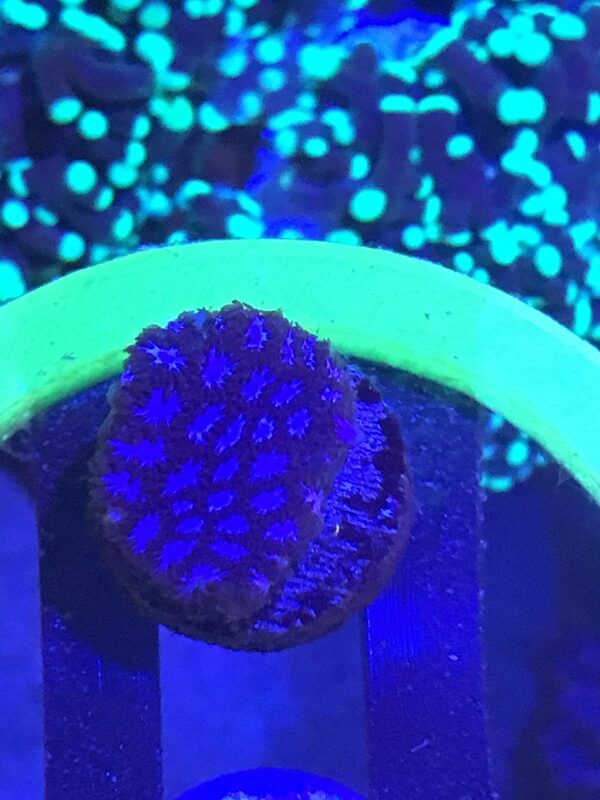 That feeling when you have a package of corals coming in by 1030, and you have to tell your wife who works at home that she will be receiving the package and will have to float a few corals. It’s only 10 more Leptastrea I don’t know what she’s all worked up about! 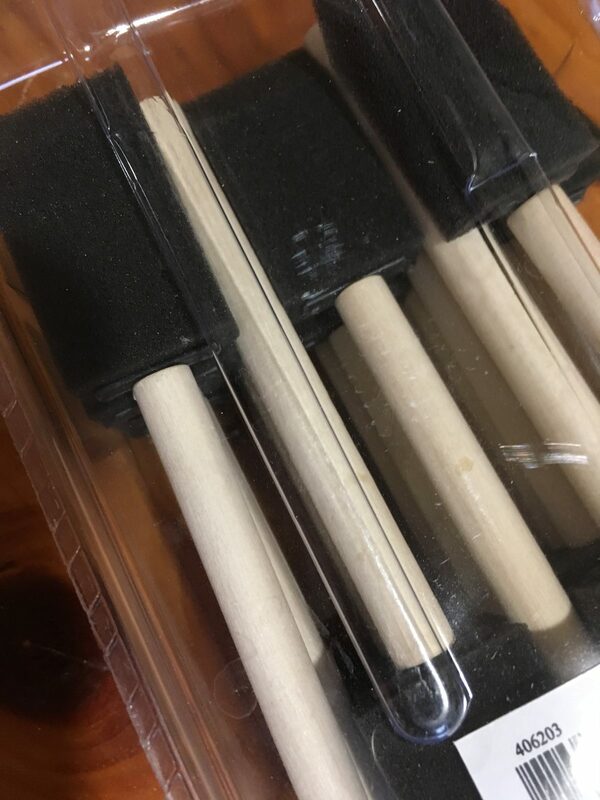 My wife would probably float those in the toilet for 10min. and flush it. BTW where did you get your order from? Cool. Getting interesting. Never ordered from them tho. but looks great either way! Very cool idea and I love the looks of it. 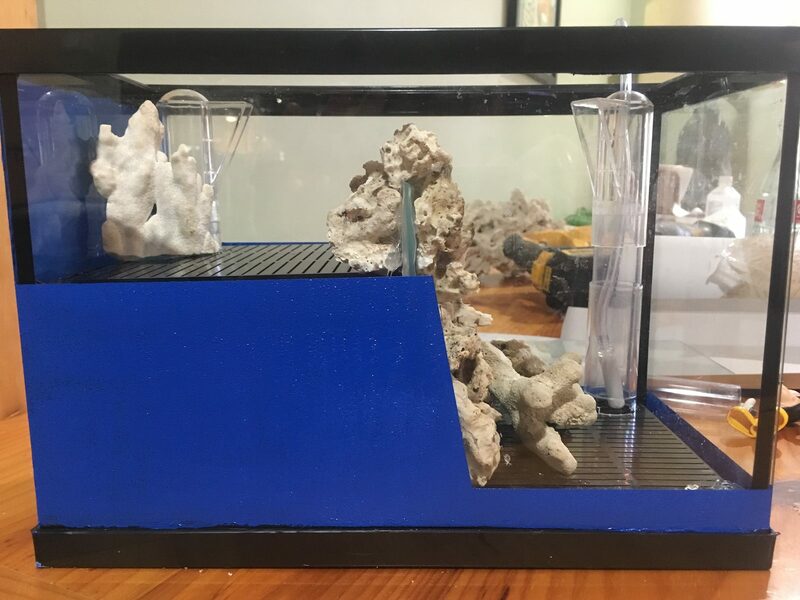 As a former aquarium tech who serviced old school SW tanks, (ones that were built in the 70s and 80s) that had UG filters and crushed coral, I have 1 word of caution. 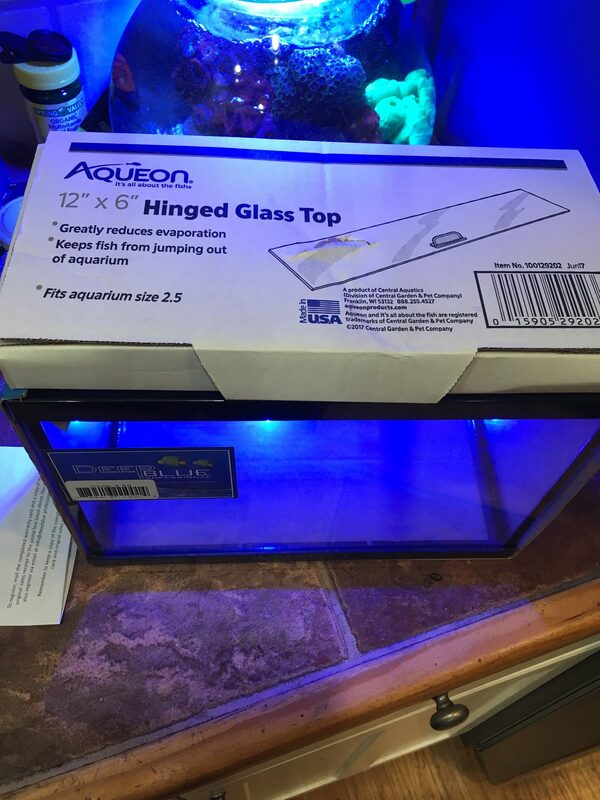 I vacumned the plates of all my UG SW tanks once a month. 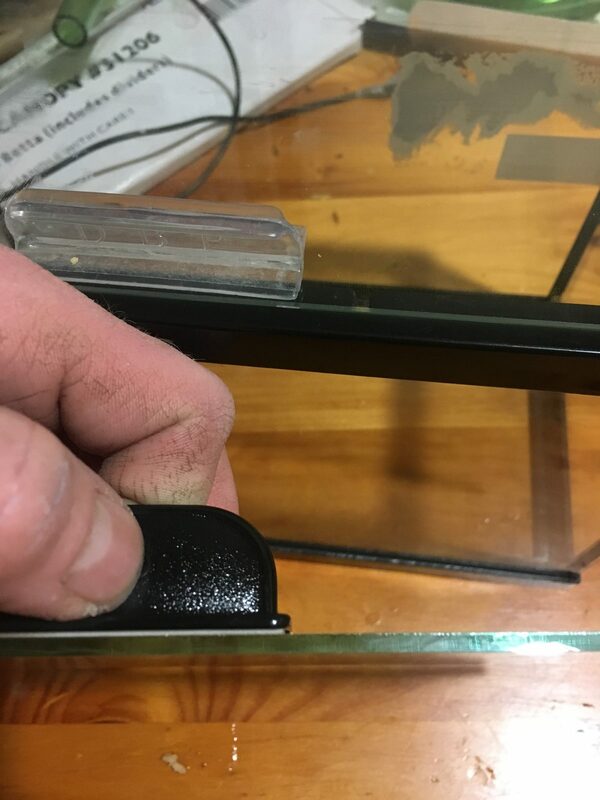 The reason was that with SW tanks that had a large amount of detritus build up under the plate that at some point the ph would drop and some sort of chain reaction would happen that would deplete the oxygen and all the fish would die. I never really understood the actual chemistry of it but I witnessed the results. 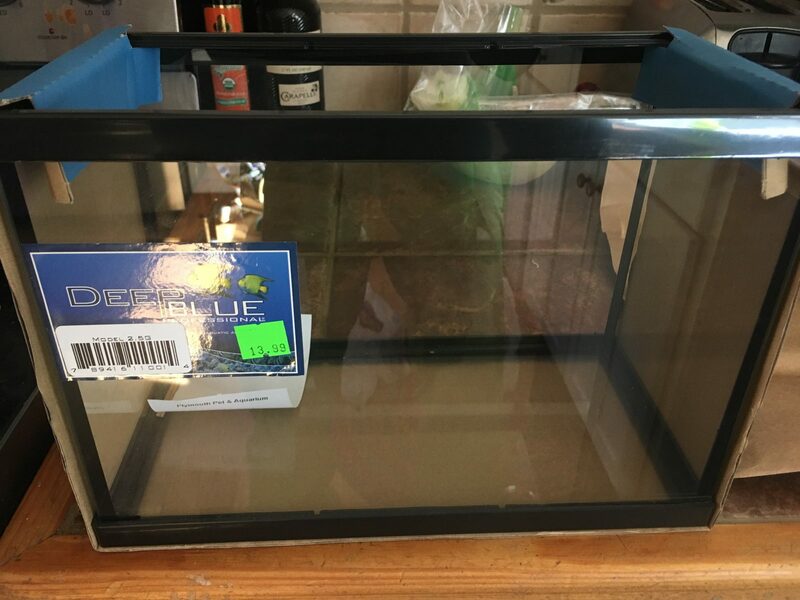 These tanks were FOWLR so I don't know about a purely coral tank. any plans for JackO, J.Deere or 24K gold leptas?